Available on granary or white bread, served with fries. Served Monday to Saturday midday -2:30 pm. Reviewed 04/03/2019 "This has been my favourite pub for over 20 years, and now that it has been reborn, it is better than ever. Great food, fantastic authentic character, and close enough to walk to across the fields. Perfection!" 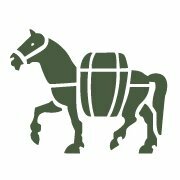 Reviewed 07/04/2019 "The Packhorse was the best pub experience I've had in ages. Amazing building, lovely Sunday lunch, friendly staff, great atmosphere. Can’t wait to go back in the evening."